Scenario: Amy is hit by a red car and the other three members of the Detective Boys club chases after it on Conan's skateboard. They lose sight of it near a factory, but they find it again minutes later to chase it to a police station where a man named Kenichi Shishido turns himself in for hit and run. At the hospital, everyone is surprised to hear a man has been murdered in the factory where they were at. 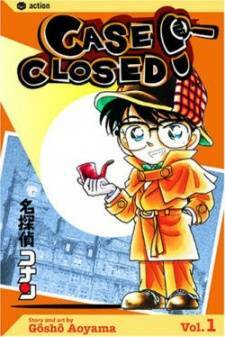 Conan finds a red car in a building beside the factory and other clues that point the murder to Kenichi. 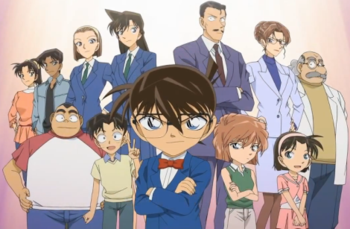 Conan knocks Kogoro out to explain Kenichi is the murderer and he purposely hit Amy and allowed the Detective Boys to chase him as an alibi. As proof, they find Amy's detective badge wedged in between the bumper of the car in the garage.